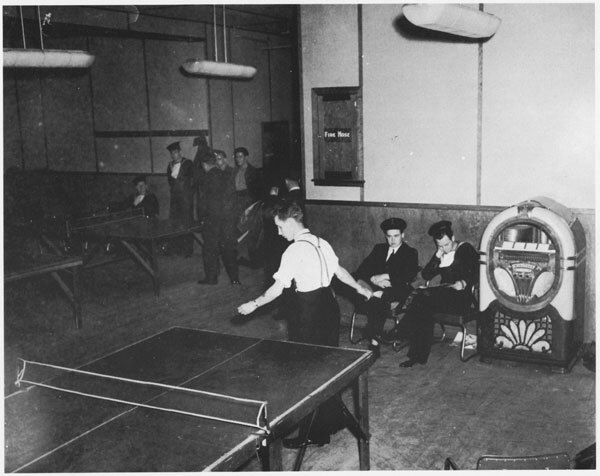 While researching jukeboxes for our next Oral History Roadshow project, I came across this photo from the 1940s. It was taken at The Knights of Columbus Hostel which was located on Harvey Road. This was a popular hangout spot for service personnel during WWII. On December 12, 1942 a fire quickly swept through the building and resulted in the loss of ninety-nine lives. An "Uncle Tim's Barn Dance" was happening at the time.